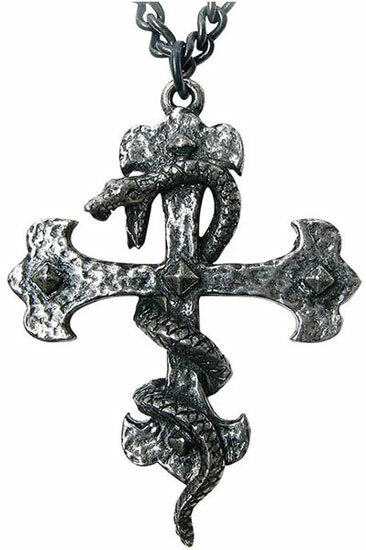 Snake wrapped around medieval cross made of fine English pewter. Imported from the UK. 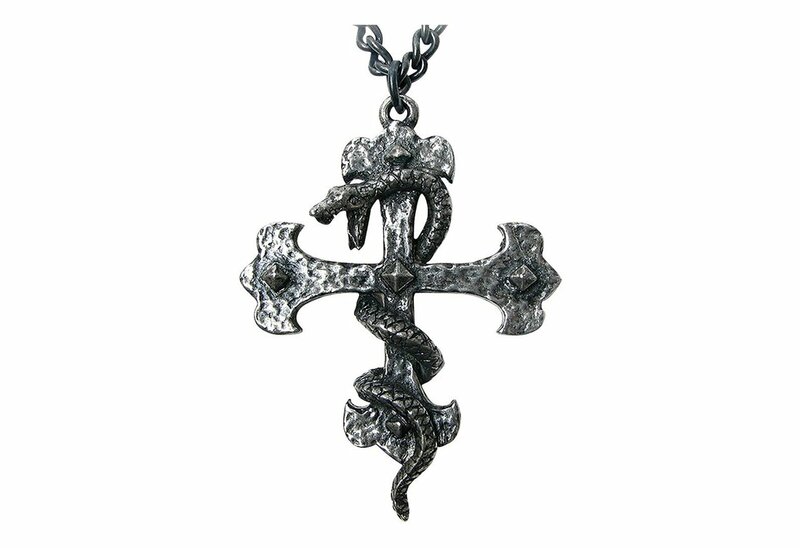 Measures approximately 1.65 inches in width, 2.2 inches in height and 0.35 inches in depth.